Kompakt extra rounds up a busy year. Reinhard of course is something of the guardian of this series, busting some moves on a stinging techno rock out, above shaffel tempo this time and something of a merciless, shredding tune. 'Protekt' is one of those unstable tracks, which stays in the same sound envelope but just gathers momentum and dancefloor potential around itself like nothing else. 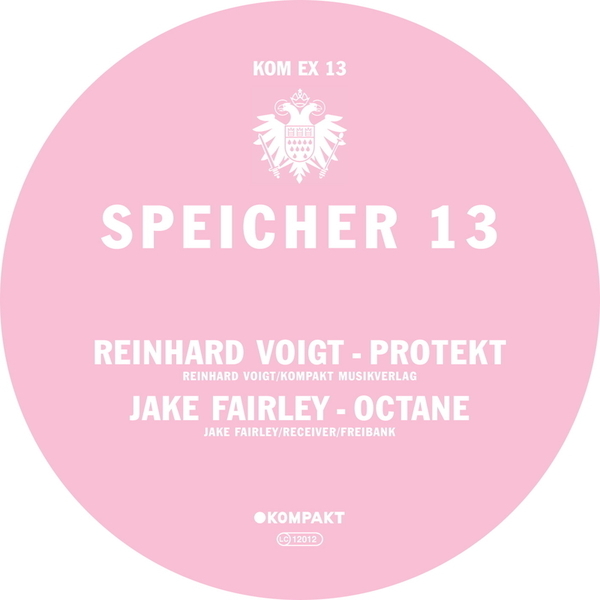 Jake Fairley's excellent recent 12" for Sender showed berlin artist and label on top form, guesting for the Cologne posse this time there's a kind of mechanism to this techno cut which is entirely audible, looped like an old Dancemania piece, but entirely effective. Simple.